Waffle On About Only Fools and Horses On this episode Meds and Kell are joined by regular guest Peter Coleman as they discuss the hugely popular British sit com Only Fools and Horses. First broadcast in 1981 the show lasted an impressive 22 years. Starring David Jason, Nicholas Lyndhurst, Buster Merryfield and Lennard Pearce and written by John Sullivan the programme started off slow in the audience ratings but soon grew into a huge hit offering wonderful Christmas specials and two spin offs. 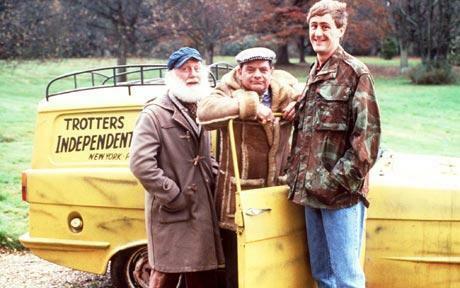 Special thanks go to Cheryl Hough, Peter Stratford and Scott Boswell who sent us emails regarding the show and also to the Only Fools and Horses online fan club who has a wealth of information and videos so please do check their site out at http://www.ofah.net/blog/ Our next episode will be about Monty Pythons Life of Brian so please do send us comments eithere here on the site or to our email address which is waffleonpodcast@gmail.com. Cheers.